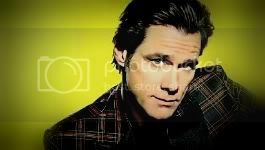 Jim Carrey Online • View topic - Peoples Choice Awards 2010 - Jim won! Peoples Choice Awards 2010 - Jim won! Jim is in the running to be nominated for Favorite Comedic Star! His movie Yes Man isn't nominated for Favorite Comedy Movie, but you can check the "other" box and type it in! Great! Woo hoo! Too bad Britney Spears didn't win her two awards..lost to Laday Gaga and Taylor Swift repectively. There's no video on the PCA site.